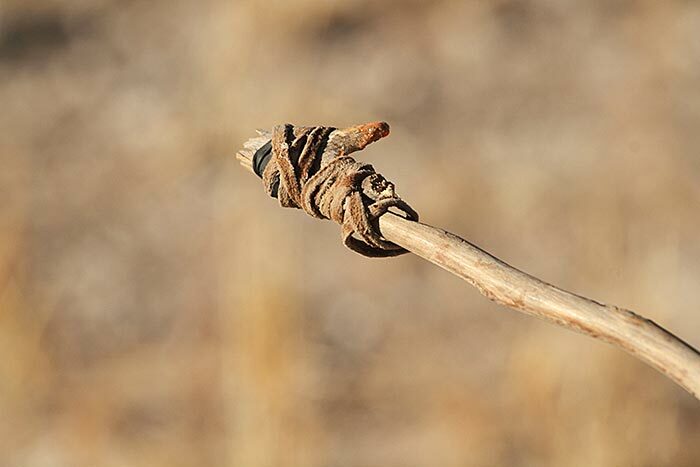 This peculiar instrument is a springhare hook, which is used to immobilise and kill springhares in their burrow in the Kalahari. The hook is extended into the burrow, with new lengths added to accommodate the depth of the tunnel. Then, upon successful capture of the springhare the set-length pieces are counted, to determine exactly where to start digging for the prize!